Christopher Wallace aka Biggie Smalls, aka The Notorious B.I.G. was born and raised in Brooklyn, New York May 21, 1972 and was arguably one of rap's greatest icons and best emcee's until his untimely death in Los Angeles, California on March 9, 1997. 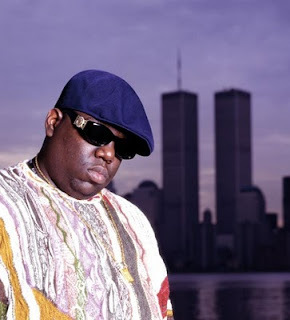 Food for thought: What would the Hip-Hop/Rap scene look like today if Biggie were still alive?